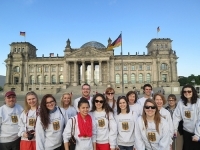 In order to study at a German university, generally a form of higher education is necessary: To study at a university general or technical university, to study at a technical college, the college entrance. Furthermore, even people are admitted without university admission to some courses to university studies in Germany if they are professionally qualified and demonstrate the high school; Further special tests and a probationary period of study are required depending on the educational institution and study program. In some fields of study consist of entry. In subjects that are nationwide restricted admission at many universities, justice for the places on the Foundation for Higher Education �Admission �are �awarded in Dortmund. The trend is the effect that the individual universities to select their students themselves. In addition there are also local admission restrictions for individual subjects at universities and colleges.